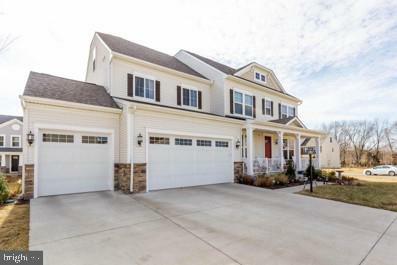 All Manassas homes currently listed for sale in Manassas as of 04/25/2019 are shown below. You can change the search criteria at any time by pressing the 'Change Search' button below. 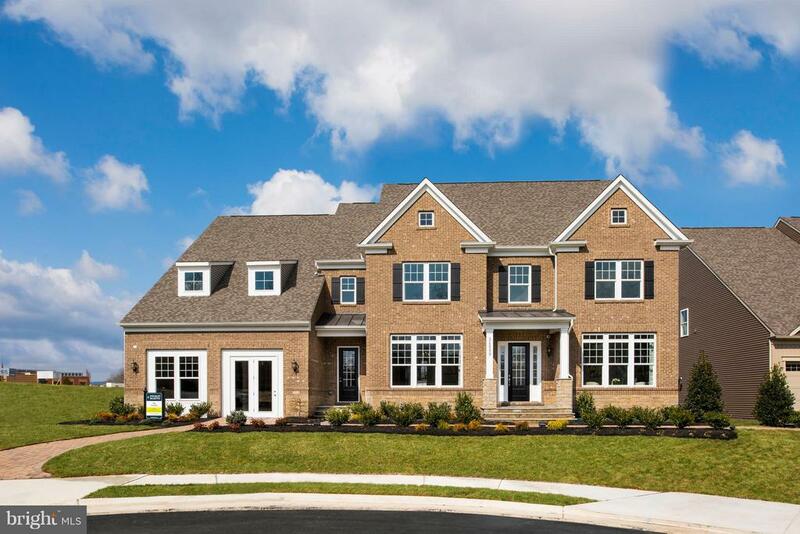 If you have any questions or you would like more information about any Manassas homes for sale or other Manassas real estate, please contact us and one of our knowledgeable Manassas REALTORS® would be pleased to assist you. 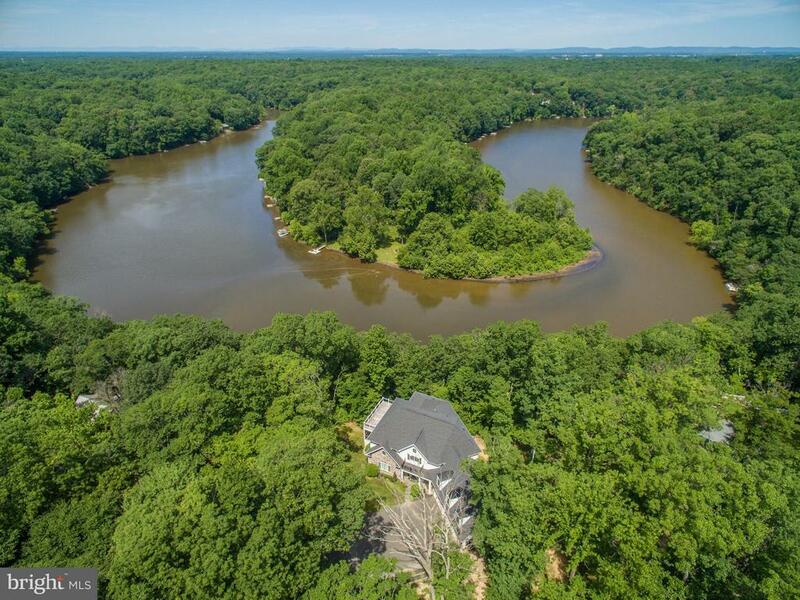 "AMAZING WATERFRONT ON THE OCCOQUAN WITH DOCK, 5 CAR GARAGE ON OVER 5 ACRES***ALMOST 8600 SQUARE FEET***CUSTOM BUILT WITH GORGEOUS FEATURES, MARBLE COFFERED CEILINGS, HUGE DECK, PATIO WITH WONDERFUL VIEWS ACROSS THE WATER***A PERFECT 10! 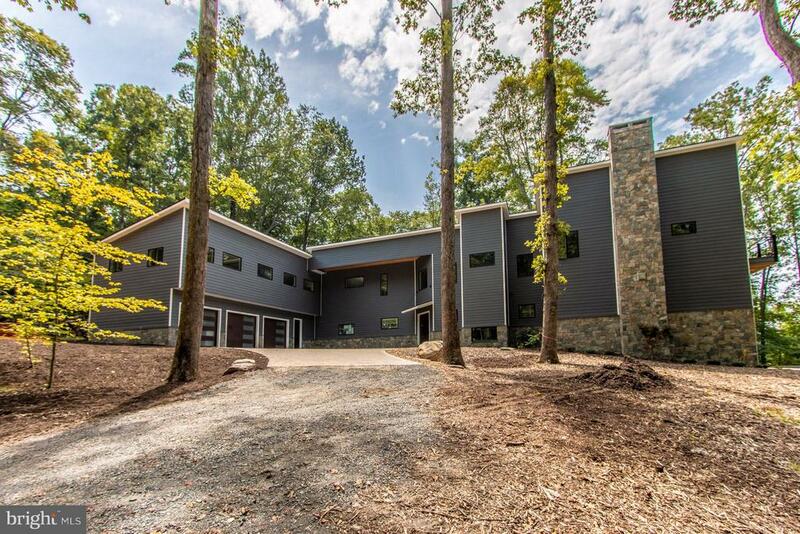 ***CONFERENCE RETREAT OR HOME OFFICE OVER ADDITIONAL GARAGE -GREAT FOR HOME BASED BUSINESS***"
"Spectacular one of a kind custom built L shaped contemporary of hardy plank and stone with a 2 story exterior stone fireplace, paver driveway sitting on 5 private acres on 1000+ ft of the Occoquan River with views both north and south! 8000 sq ft 4/5 bedrooms, 5.55 baths, 3 levels facing west with scenic vistas from all the living space and 3 bedrooms! 3 car garage. Above the garage is a bedroom suite/inlaw suite/aupair suite w partial kitchen and full bath as a wing to the gorgeous contermporary! High ceiling ( 9.12.14 feet) and open floor plan! Oversized double door solid wood entry to 2 story foyer. Elevator, deep coat closet, open offset metal staircase with wooden handrails to both the upper and lower level, plus second staircase! Huge full wall, floor to ceiling windows! 3 fireplaces- ll rec room, great room and master bedroom! Main level foyer entry, huge living room, separate dining room with butlers pantry and deck access plus 2 half baths at either end. HUGE great room open to kitchen, island, customized cabinetry with quartz counter top luxury SS appliances including subzero with front window, under the counter microwave, eurp styled double wall ovens, eurostyled gas downdraft 5 burner cook top, pocket handle dishwasher! Views from all room gorgeous but the great room overlooks the inground pool and the river! FIreplace and a wall of windows is breathtaking!Deck access from the great room with steps down to the pool! Upper level of main space has huge bedrooms, each with a balcony and a private ensuite bath! The master bedroom has a sitting area, fireplace, coffee bar, walk in closet and double closets, balony overlooking the river and the pool plus a glorious master bathroom with a separate soaking tub with scenic views, separate glass enclosed shower, private toliet and bidet toliet. Gorgeous hardwood floors on two levels! Lower level features a stone fireplace, wall of windows with access to the pool, plus an impressively organized utili"
"*****Qualified Assumable VA loan at 3.75%*****. CUSTOM BUILT ESTATE HOME with standalone full GUEST HOUSE. 8,946 total sqft on 2.97 acres. 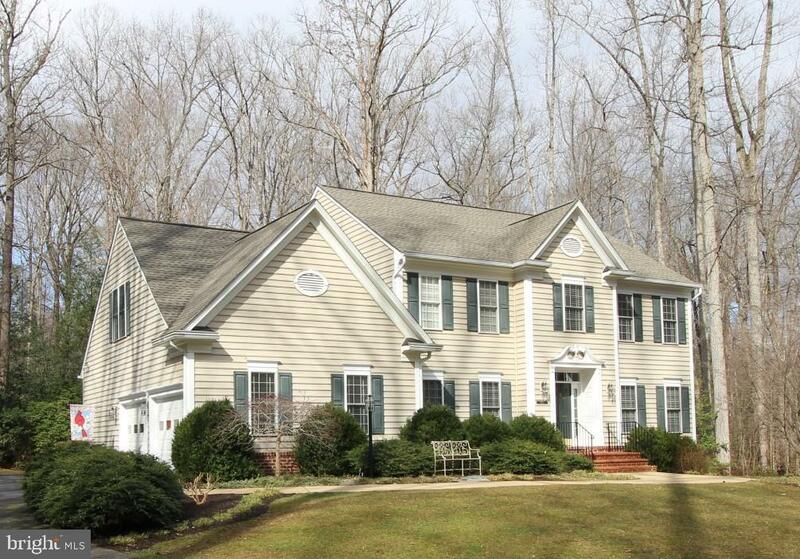 Live in the country with easy access to VRE (10 mins away) and both I95 and I66 corridors. This estate was built with every little detail in mind. MAIN HOUSE: 6946 sqft, 5 bedrooms (3 full suites on main level), 6 baths, Gourmet Kitchen (professional stove, 2 sinks, 3 dishwashers), Theater (2 tier seating, HD projector, 7.1 surround), 10' ceilings, 2 laundry areas, 3 gas fireplaces, Central intercom and speaker system including outside patio and decks, wet bar with dishwasher in basemen, study/game room, 3 level indoor playground designed by little tikes, 4 oversized garages (1450 sqft). GUEST HOUSE: 2000 sqft, Full kitchen, 2 Bedrooms, 2 baths, 9' ceilings, 1 laundry room, 1 gas fireplace, 1 car garage (200 sqft). Private custom heated pool with waterfalls. Pool house with bathroom. The amenities go on and on. This estate is one of a kind. Please see documents attached for full details and descriptions. Check out the virtual tour and documents or call listing agent for more information." "Waterfront, Southern Living home with access to boatable water for fishing and water sports on Lake Jackson. Scenic water views from all three finished levels with over 6700 square feet of living space, boasting superior finishes. Main and upper level Master Suites, gourmet kitchen with the finest of details, hardwood floors throughout the main and upper levels, open floor plan with walls of windows, French doors, recessed lighting, crown molding and architectural details. Expansive decking across the back of the house with access from almost every room and a screened porch provide sweeping waterfront and sunset views. Oversized ~extra deep three car garage (32 x 25). Vacation living all year round! https://www.ljcainc.com/"
"WOW! !BUILDER HAS THOUGHT OF EVERYTHING!! Almost 7000 SQ.FT. OF FINISHED LIVING SPACE. Custom built home with many amenities. Perfect location off Prince William Parkway. Great for entertaining friends and family or raising a family. Professional landscape lighting enhances the evening view. Invisible fence for pets - with collars for 2 small dogs. Adjustable in ground basketball hoop. Large back yard that can accommodate soccer, volleyball or other outdoor fun. Professional landscape around entire home. In ground heated pool - HUGE DECK WITH GAS HOOK UP FOR GRILLING! This beautiful oasis makes your home a perfect staycation location. Custom made window treatments. Home theatre area to watch your favorite movies or sporting event; Game room and work out rooms that keep everyone entertained. Enjoy gatherings in the generously-sized living/dining area graced by a fireplace, huge windows and glass doors that lead out to the rear deck. The gourmet kitchen will inspire your inner chef with its granite counters, center island with seating, large pantry, stainless steel Bosch and Samsung appliances. By appointment only through MLS Showingtime app." 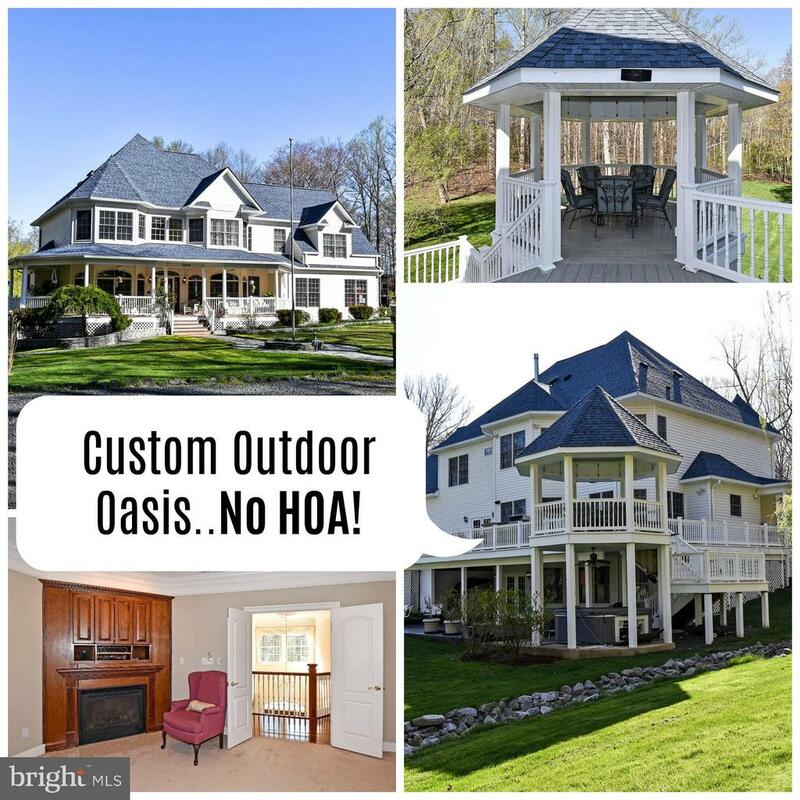 "One of a kind custom home, featuring 5 Bedrooms, 5 full Bathrooms,3 Car Garage, large Drive Way and much more parking, beautiful cherry hardwood floors, crown molding through out, large maintenance free deck and wrap around front porch. Custom Wet Bar in Basement, wine cooler, dishwasher and refrigerator, Large Entertainment Room, Two Laundry Rooms. Stamped Concrete Patio and walk-way and more." 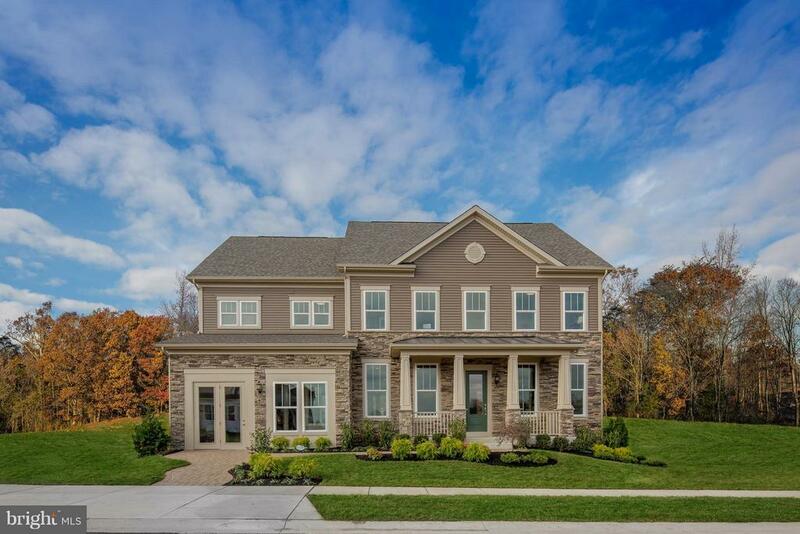 "Gorgeous large open concept multigenerational floorplans up to 8 bedrooms, 7 full bathrooms, and up to a 5 car garage available all on 1/2 acre homesites with cul-de-sac and wooded home-sites available. Sun-Mon 1pm-6pm and Tue-Sat 11am-6pm"
"Luxury estate located on 1.4 acre cul de sac in the highly desired Ellis Plantation neighborhood. Full finished walkout basement with rec room/movie theater. 6500 sqft finished on 3 levels! Well maintained home with new carpet and paint. Open floor plan. 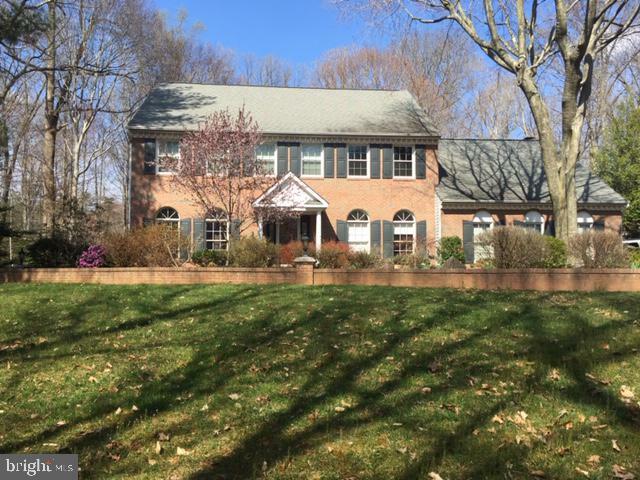 With 4/5 BD, 4.5 BA, Sun-room, Gourmet Kitchen w/granite & stainless steel appliances. Master suite w/sitting room and 2 walk-in closets. 3 car garage with built-in storage and plenty of parking. Security/intercom system. Huge deck and 2 patios. Quiet neighborhood, great shopping & commuter location! Easy access to Crystal City via VRE nearby. Must see. Motivated Seller." "Stunning New Stanley Martin Home! Gorgeous open concept multigenerational floorplan featured on 1/2 Acre wooded and Cul-de-Sac home-sites. The Landon floorplan can be built from 4-8 bedrooms and up to 8 full bathrooms. Our beautiful homes can also offer an expansive fourth level loft and outdoor terrace perfect for entertaining and enjoying your beautiful view. Let us build your dream today. 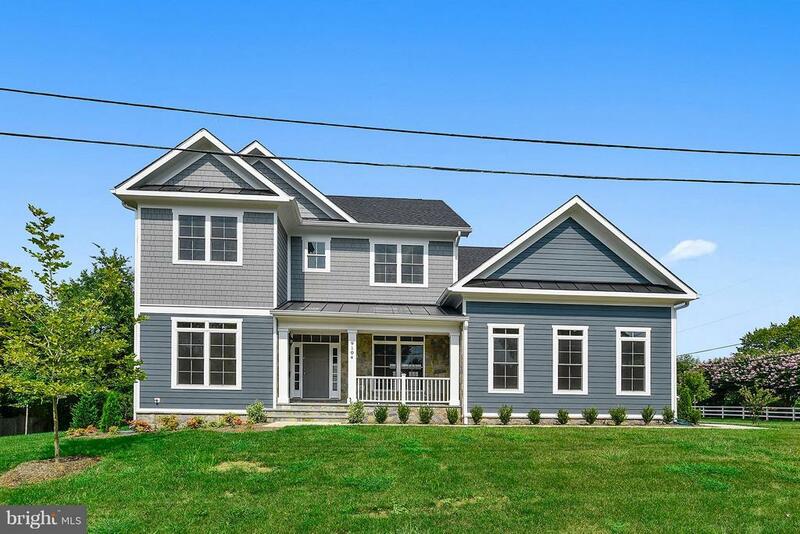 Sun-Mon 1pm-6pm and Tue-Sat 11am-6pm"
"Stunning New Stanley Martin Home, featured on 1/2 Acre wooded and Cul-de-Sac lots. The Russell is an innovative plan featuring an attached in-law suite with separate garage. All of our beautiful homes can also offer an expansive fourth level loft and outdoor terrace perfect for entertaining , relaxing, and taking in the beautiful view. Let us build your dream today. Sun-Mon 1pm-6pm, Tue-Sat 11am-6pm." "Just Reduced! 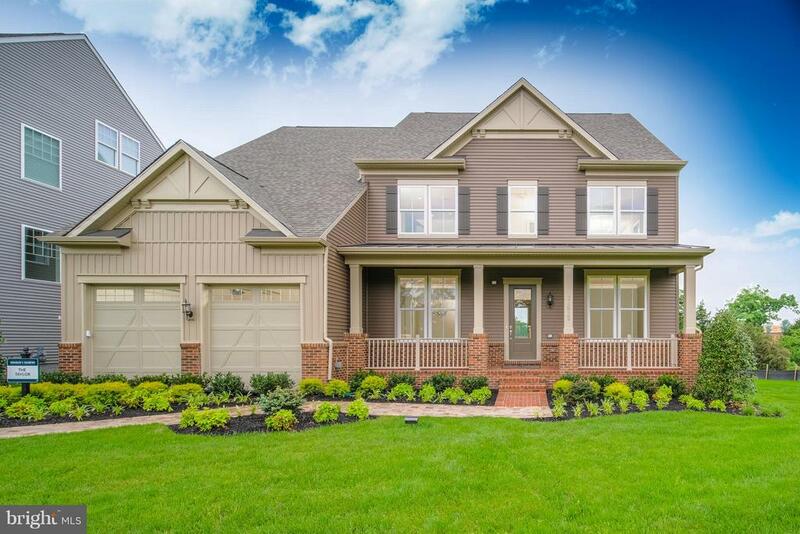 Quality built NEW custom Arts & Crafts home close to Old Town Manassas. 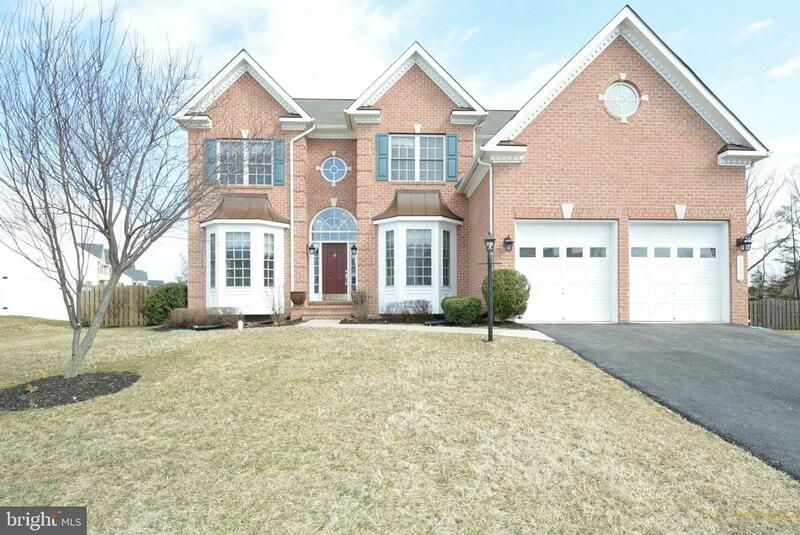 Hardwd floors, detailed moldings, Gorgeous Gourmet kitchen, open floorplan, Spectacular Master Ste plus 3 other bdrms & 2 full baths, upper level laundry rm, 2 car garage, Slate front porch & back patio & prof. landscaped yard. Walk up LL rec rm has a bdrm, a full BA, media rm, & lge rec rm. 1/2 mile -VRE commuter rail fabulous home- quality built like no other - move in ready!" "Stunning New Stanley Martin Homes! Gorgeous open concept multigenerational floorplan featured on 1/2 Acre wooded and Cul-de-Sac home-sites. The Taylor can be built from 4-7 bedrooms and up to 6 full bathrooms. All of our beautiful homes can also offer an expansive fourth level loft and outdoor terrace perfect for entertaining and enjoying your beautiful view. Let us build your dream today. Sun-Mon 1pm-6pm and Tue-Sat 11am-6pm"
"Over 4700 finished sq ft on two levels! Open eat-in kitchen features ample granite counter top space and stainless steel appliances. Large back deck off the kitchen. Gleaming hardwood flooring throughout the main level. Master is on the main level, second master in the basement. Fully finished basement with walk to patio includes 3 spacious bedrooms and 2 full bathrooms. Property sits on 1 acre in cul-de-sac within Classic Springs neighborhood. Private wooded area with fire pit is perfect for entertaining. Conveniently located right off Dumfries Rd." "TO BE BUILT BY 3 TIME BUILDER OF THE YEAR, CLASSIC CONCEPT BUILDERS IN WATER ORIENTED COMMUNITY WITH NEIGHBORHOOD PARK***GORGEOUS OPEN FLOOR PLANS**FANTASTIC FEATURES W/OPPORTUNITY TO CUSTOMIZE***9' FOOT CEILINGS, UNIQUE ENERGY EFFICIENCY PACKAGES, GRANITE, HARDWOODS, FIREPLACE, SILENT FLOOR JOISTS & MUCH MORE*** ***BEAUTIFUL 1.42 ACRE LOT- MAIN LEVEL MASTER BEDROOM***COLGAN HIGH SCHOOL***THE LOT PREMIUM FOR THIS LOT IS $10K OVER BASE LISTING PRICE. LOT PREMIUMS VARY BY LOT IN LIBERTY OAKS." 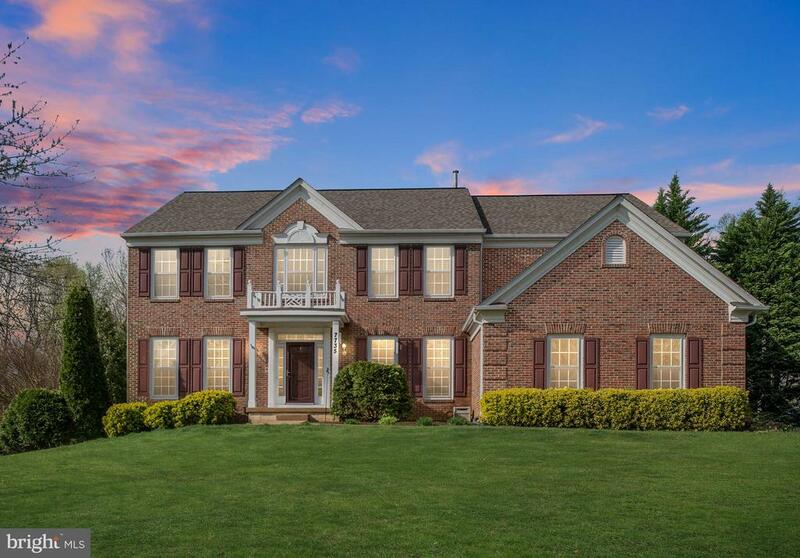 "Absolutely Perfect is the only way to describe this beautiful brick front Colonial home located within the Colgan High School District. A HUGE amount of room, 4,752 sq feet on 3 finished levels of luxury living. You have five bedrooms, 4 full baths ( 3 full bath upstairs, 1 full bath in the finished basement) and a half bath on the main level. So many improvements Inside and out have been made to this home. Newer HVAC upstairs and downstairs, in 2015-2016 the full basement was finished adding a family room, wet bar, a bedroom, a full bath and an exercise room. In 2016-2017 the kitchen had a new refrigerator, dishwasher, dual ovens and Quartz counters tops.. Also in 2017 the master bath was totally remodeled and new tile put in the other bathrooms. Need a home office or library? We've got it on the main level. We also have a two story center hall foyer with a beautiful stained glass chandelier and a dual staircase. The family room has a gas fireplace, the beautiful entertainment center conveys with the property. We did not ignore the outside either! 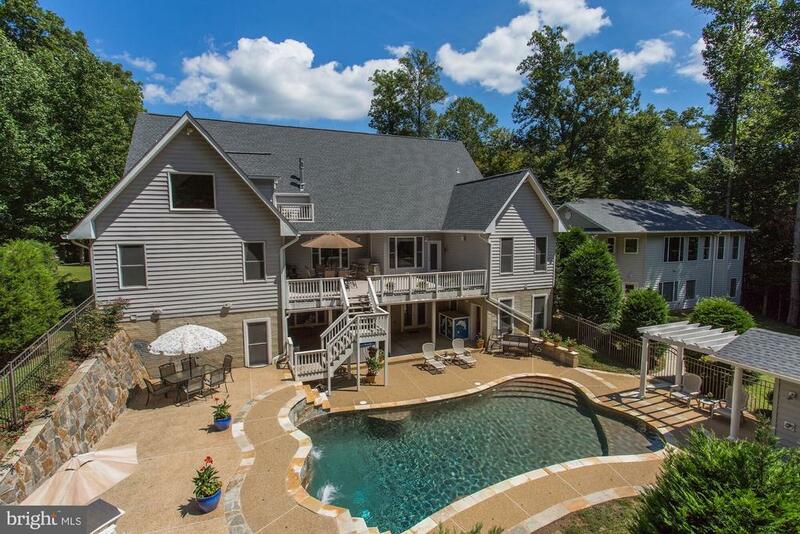 This home sits on a 1 acre lot backed to woods so imagine the fun and the parties you can have in this huge backyard. In 2016 we put on a new roof, a new garage door and a new Thompson sliding door leading out to the screened porch overlooking the back yard. And to top it off in 2017 the sellers had the driveway repaved. The sellers have loved this home and it shows.....Time to make your memories here and make this one yours." "This less than 3 years old gorgeous 4 level SFH offers 6 bedrooms, 5.5 bathrooms, 3 car garage and front porch for all time relaxation. Complete with over 5,100 sq. ft. of living area. Enormous size gourmet kitchen has stainless steel appliances, lots of space for entertaining guest, family and friends, granite countertops and room for a large dining table. Finished lower level has large bedroom with full bath, great for in-law suite and recreation area for fun and pleasure. Topped with a fully finished loft on the 4th level that has a sitting area which makes good for a quiet and peaceful get away, with a bedroom and full bath. 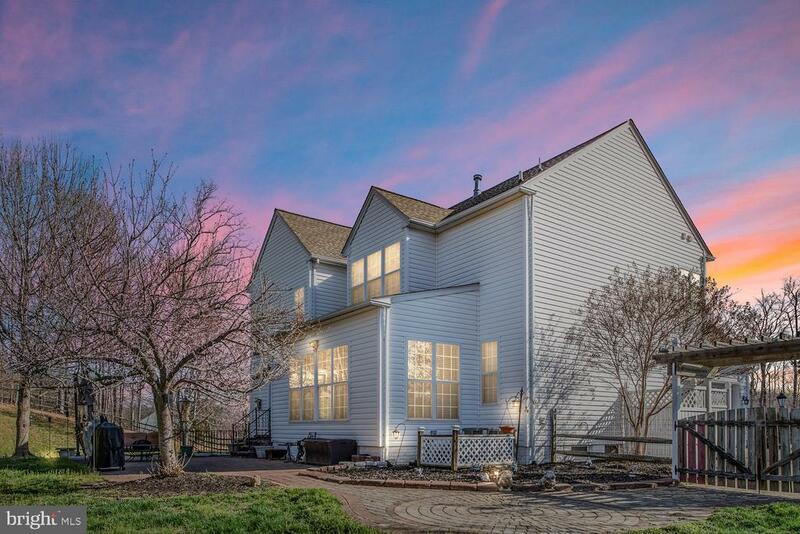 Nestled on a corner lot, this beauty is located just minutes to the VRE, commuter routes, shopping, public schools, entertainment and many, many restaurants. Call listing agent NOW to schedule your appointment for viewing!" 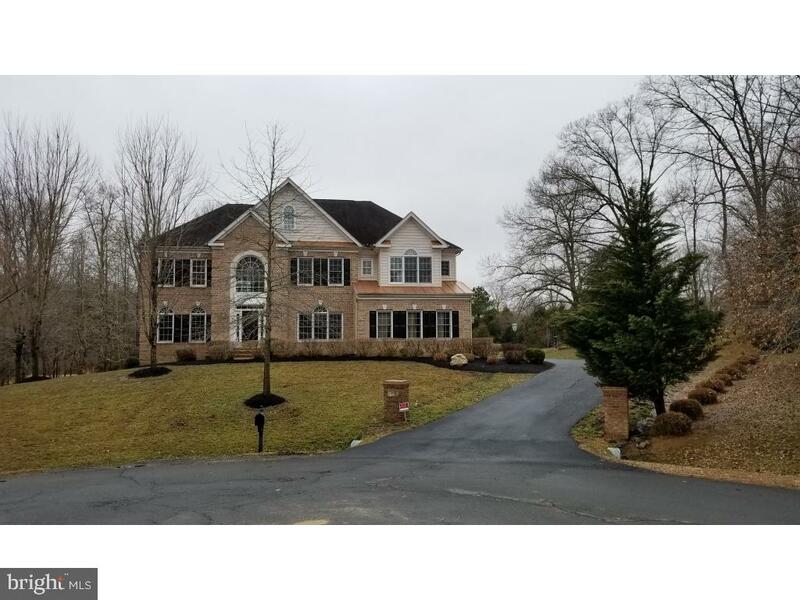 "Motivated Sellers.Stunning Colonial Home features 5 Bedrooms, Formal Living, Dining Room, Office or Bonus Room Family Room open to second floor, Stone Fireplace, Sun Room and Spacious Kitchen. Updates two years include: Roof, Storm Door and Screen Door, New Flooring in Basement and Master Bedroom, Water Heater, HVAC, Updated Kitchen with all new lighting, blinds, microwave, refrigerator, dishwasher, garbage disposal and cabinets. Freshly Painted and all new faucets and toilets with stainless steel plumbing. Finished Basement features 1 bedroom, Rec-room, full bath and storage space. Corner home, Fenced yard with 1 acreage, features brick patio and Pergola that adds charm. Conveniently Located, close to shopping, I-95 and 66. Assigned to CColgan High brand new school!" "Stanley Martin presents the stunning new Kasey floor-plan. An open concept multigenerational floorplan built on 1/2 Acre wooded and Cul-de-Sac home-sites. 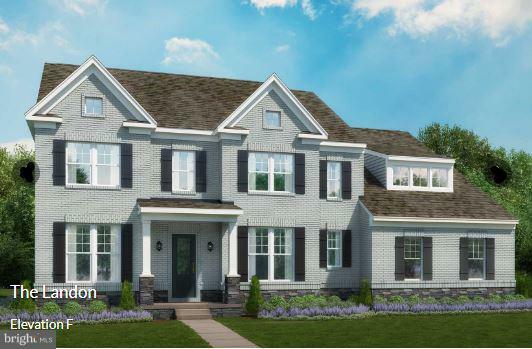 The Kasey can be built from 4-7 bedrooms and up to 6 full baths. All of our beautiful homes can also offer an expansive fourth level and outdoor terrace. 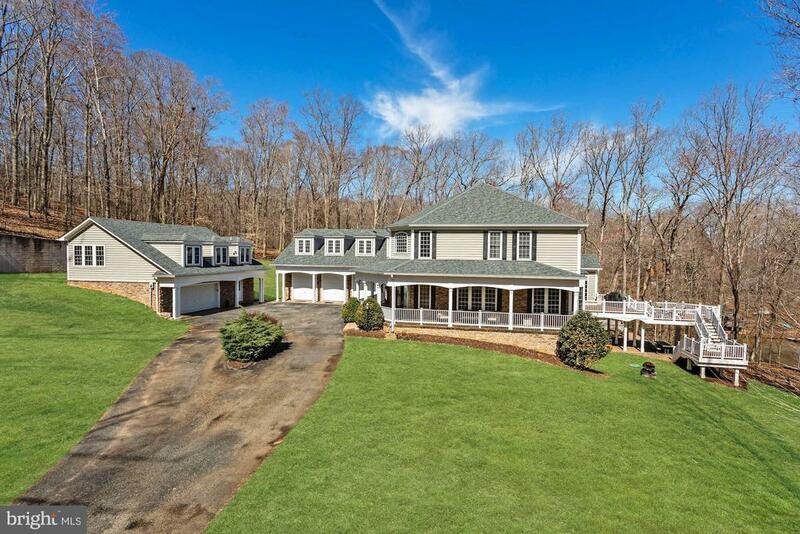 The Estates and Potomac Reserve provide unmatched privacy, and opulence minutes from 95. Sun-Mon-1pm-6pm and Tue-Sat 11am-6pm"
"Quality craftsmanship and features throughout this stunning Colonial! Welcomed by a private road on 1.22 secluded Acres, this home offers a rare mix of luxury and privacy. 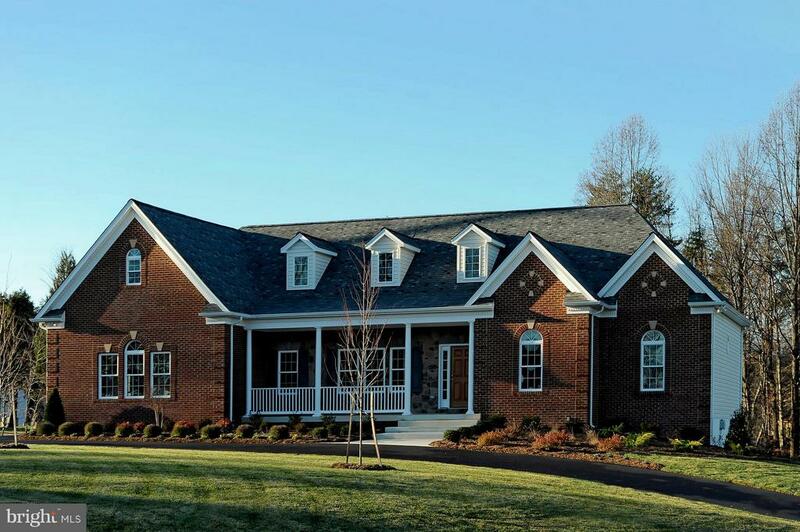 Over 4,700+ square ft. of beauty includes 5 Bedrooms, 4 full and 1 half Bathrooms. Chefs Kitchen with stainless steel appliance, double ovens, granite counters and center island. 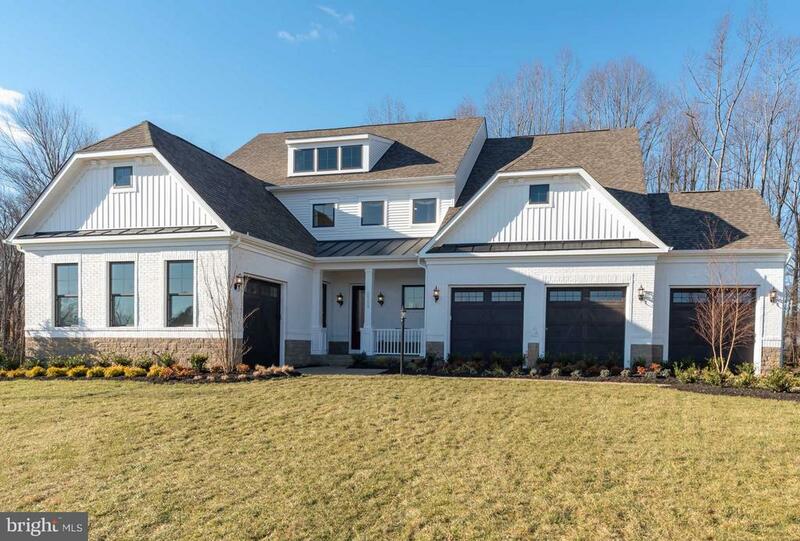 Open and sun-filled, this home is built for entertaining! Family room with valued ceilings and gas fireplace. Formal Dining Room, Living room, office, and sunroom with French doors to rear deck. Unwind in the lavish Master Suite, complete with luxe en-suite bathroom and spacious walk-in closet. The fully finished Lower Level features a rec room, den, Bedroom and full Bathroom. Complete with outdoor access to the beautiful grounds, the Lower Level offers flexible options for in-laws, teens and more! Don~t miss this amazing opportunity~ Welcome home to River Road!" "Stunning and Majestic Home on More than 1/2 Acre Lot. Elegant Brick Front and Beautiful Fenced Backyard. Gourmet Kitchen with Kitchen Island, Granite Counters, Gas Cooking, Stainless Steel Kitchen Appliances, Butler's Pantry, and Morning Room to Enjoy and Enjoy the backyard. Enjoy the warmth of the Fireplace in the Huge Family Room. Separate Living and Dining to entertain Family and friends. Dual Staircase which leads to Upper level which offers huge bedrooms with ceiling fans and MagnificentOwners' Suite with Tray Ceiling, Fireplace, and Walk-in-Closet. Owners' Bath with Jacuzzi and Separate Shower. Lower Level offers 2 Bonus Rooms, Full Bath and a Wet Bar to entertain Family and Friends. Extra Wide Walk-up basement leads to Fully fenced backyard. Freshly Painted and New Carpet." "30K PRICE REDUCTION. 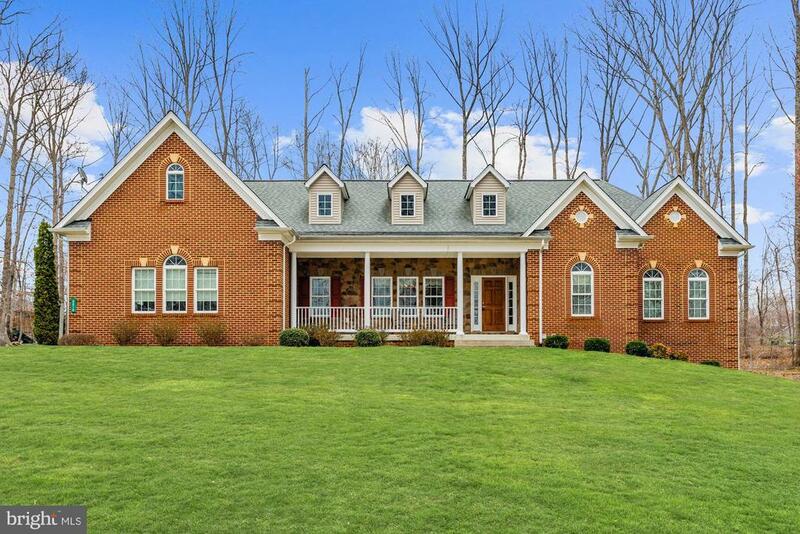 One-owner pristine home in private setting of over 2 acres of landscaped areas in mature woods. 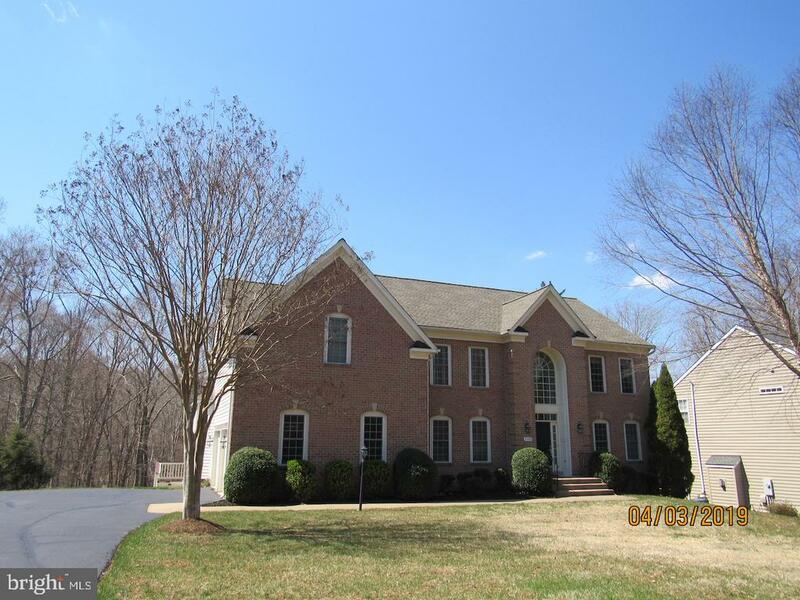 3 finished levels; Main level formal colonial living dining to each side of entry foyer. Dining has wainscoating to chair moulding. Entire main floor hardwoods look new; only other flooring is in laundry (vinyl) and main floor carpeted bedroom. Bedroom is next to full bath and has bay window to private backyard - a perfect guest room. Kitchen at center of main level, surrounded by sunroom extension and breakfast area; also open to large family room with gas fireplace. 4 bedrooms on top level, two with sitting rooms. Large master bathroom with 2 sinks, private toilet stall, soaking tub surround, two walk-in closets, and separate sitting room. Basement has 2 large multi-use rooms, one carpeted and one with high-grade wood-look vinyl. Adjoining full bath and study or large walk-in closet. Study room is secure room with reinforced walls and door. Outside shows that a gardener lived here; 18 year old oversized rhododendrons line the long driveway, landscaping front and back. Large boxwoods in front provide a natural barrier to deer. House backs to parkland with mature woods. Driveway resurfaced on 4/3/2019. 220 volt outlet on separate circuit in garage; can be modified for various electric car plugs." "Spacious, open, and light filled executive home on over an acre of serene landscaped property. Finished basement opens to a paved patio leading to koi pond with a waterfall. Fenced yard and deck overlooking all is perfect for entertaining. Bright and airy gourmet kitchen open to living area and sunroom. Separate office or den on main floor could be converted to bedroom. Room to grow." "SPECTACULAR HOME ON 2+ ACRE CORNER LOT! 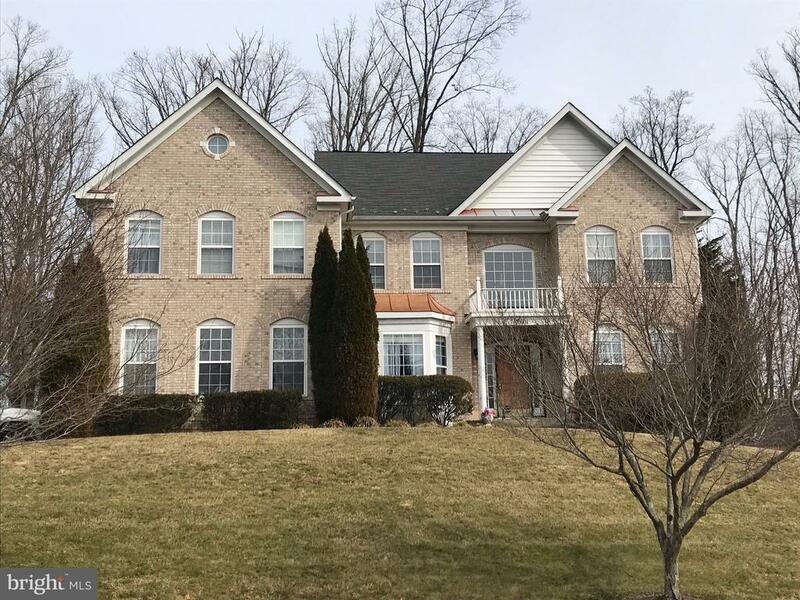 4BR/3.5BA, HUGE GOURMET KITCHEN OPENS TO 2-STORY FAM RM WITH FIREPLACE LEADING TO COZY PATIO, HARDWOOD FLOORS THRU OUT, FORMAL DINING RM & LIVING RM, GIGANTIC MASTER W/ MASTER BA & WALK IN CLOSET, 3 ADDL LG BDRMS,HUGE BSMT W/ MEDIA RM AND 2-CAR GARAGE - TENANT OCCUPIED - MUST CALL LISTING AGENT TO SCHEDULE SHOWING - CLOSE TO PW PKWY"